Mylène studied law at the Université de Metz, France where she graduated in cross-border business law and has a Masters II degree. In addition to this she has a LL.M. (Master of Laws) in civil law from the University of Trier in Germany. She was admitted to the Luxembourg Bar in 2012. Mylène has worked as a lawyer at M&S since she was admitted to the Luxembourg Bar in 2012.  Since joining M&S, Mylène has been hired as a chargé de cours (lecturer) in employment law by a non-profit organisation. She has experience working in civil and commercial litigation, as well as employment and immigration cases. Mylène takes great pride in giving 100 percent and is of the belief that clients should be able to trust their lawyers implicitly. In order to foster a forthcoming and reliable relationship she believes that an approachable and friendly countenance is key when paired with a willingness to sit and listen to her clients. This allows her to help them any way she can and has led to many successful cases. As a result of a bilingual education, Mylène is able to advise her clients fluently in both French and German. She also has some knowledge of English and Luxembourgish.